01/ I bet you never thought you'd hear the Ghostbuster's theme played on floppy disk drives. This goes out to all my fellow nerds out there! 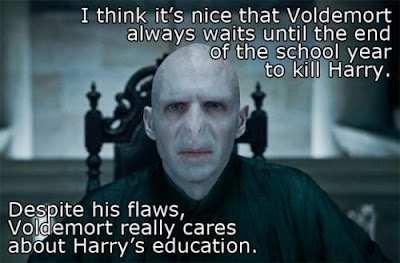 02/ As it turns out, Voldemort isn't such a bad guy afterall. Poor, misjudged villain. 03/ And speaking of Harry Potter, I'm somewhat surprised to learn that The Hunger Games series has just outsold the entire Harry Potter series. 04/ I'm really excited to see what renown director David Cronenberg has in store for us next. Check out what he has to say in this Cosmopolis interview. 05/ I adore the TV show Game of Thrones and would totally show my fandom by wearing this Game of Thrones inspired necklace. 06/ As a blogger, I found this Writer Unboxed article about the pressures of using social media super thought-provoking. What are your thoughts, fellow bloggers, on using Twitter and/or Facebook? 07/ I'm still not over my Hunger Games movie-mania and am having difficulty coming to terms with the sequel's November 2013 release date. Until then, at least I can rejoice in Catching Fire casting updates. 08/ Have you ever wanted to know what's behind every great novelist? I'll give you a hint: it's so true and super funny! 09/ I like big books and I cannot lie, you other readers can't deny. I can't rap so I'll just stop while I'm ahead. 10/ Okay, so I haven't read Fifty Shades of Grey and don't really plan to but this article on why it's a bestseller makes me feel so much better. lol Happy Friday :) how nice of Voldemort! And I'm very surprised that The Hunger Games had outsold Harry Potter. The HP series is among my favorites. I read 50 Shades and was hopelessly sucked into the madness. I'm reading the second in the series now! It's trashy writing at its best IMO. I'm also surprised that Hunger Games has outsold Harry Potter. Certainly it's a popular series, but I didn't think it seems THAT popular. I might be a little bit biased though. I loved the Hunger Games, but I loved HP more.